At Smith Cavin & Corbin, LLC we are committed to making the closing process as simple as possible while providing exemplary service and adhering to industry best practices. Founded in 1983 by Richard T. Smith, our firm concentrates in the transactional practice of real estate law – everything from purchases, sales, refinances, land acquisition and development, contract preparation, review and representation and corporate relocation services. We are a leading provider of real estate closing services in the Atlanta area and throughout the State of Georgia. Our accomplished attorneys have over 136 combined years of experience practicing law in Georgia and over 40,000 closings. In addition, we have attorneys equally capable of handling personal injury cases, wills, criminal issues and general litigation. Our goal is to provide you with the best real estate closing experience possible. Our attorneys and staff are knowledgeable, highly experienced and devoted to ensuring our clients receive the utmost level of care in a timely and efficient manner. Our attorneys are leaders in their profession,including a past president of the Real Estate Section of the Georgia Bar, a 2013 & 2014 Top Lawyer in Georgia, and a past president of the Georgia Real Estate Closing Attorneys Association (“GRECAA”). 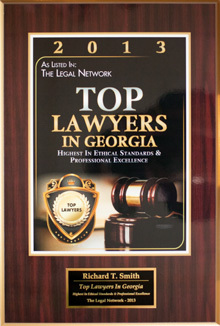 Our firm has earned an “AV” rating from the Martindale Hubbell Law Directory and was included in the Georgia Legal Legacies issue of the State Bar of Georgia Journal.